January 11, 2018 at 3:38 pm. KICKOFF: Sunday, 1:05 p.m. ET, Heinz Field, TV: CBS, Ian Eagle, Dan Fouts, Evan Washburn (field reporter). SERIES HISTORY: 25th all-time meeting. Jaguars lead series, 13-11, and beat the Steelers, 30-9, during the regular season. That was the Jaguars’ first victory in the series since beating the Steelers, 31-29, in an AFC wild-card game after the 2007 season. The wild-card game is the only time these two teams played in the postseason. KEYS TO THE GAME: The Steelers made plenty of mistakes in their 30-9 loss to Jacksonville during the regular season. There is at least one mistake the Steelers won’t repeat in the rematch Sunday afternoon when the Jaguars visit Heinz Field for an AFC divisional round playoff game — they won’t underuse All-Pro running back Le’Veon Bell. He ran for just 47 yards on 15 carries in the first game and complained about his usage after the game, saying the coaching staff abandoned the run too early. Bell proved to be a clutch playoff performer in his first postseason exposure last year, rushing for 167 and 170 yards against the Dolphins and Chiefs. 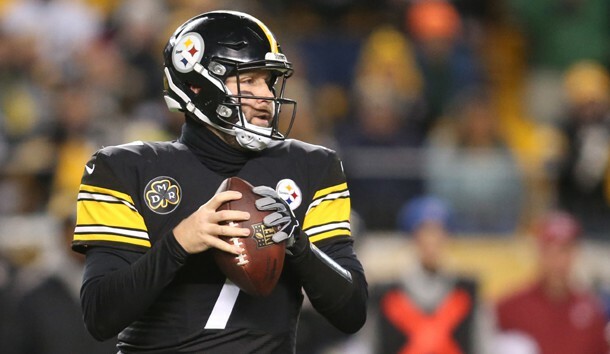 Another reason to rely on Bell: In that first meeting, quarterback Ben Roethlisberger passed for more than 300 yards, but he was intercepted five times and did not throw a touchdown. Still, there is this interesting contrast: Roethlisberger has a big edge over Jacksonville quarterback Blake Bortles when it comes to playoff experience. Roethlisberger will be playing in his 21st career postseason game while Bortles will be playing in his second. In his first, Bortles passed for only 87 yards in last week’ 10-3 win over Buffalo. –Steelers WR Antonio Brown vs. Jaguars CB Jalen Ramsey. Brown caught 10 passes for 157 yards against Ramsey when these two teams met during the regular season, but Ramsey deflected a pass that was intercepted by S Barry Church and returned for a touchdown. Brown is coming off a calf injury that forced him to miss the final two games of the regular season. If he can be effective, it will be a big boost for a Steelers offense that relies heavily on their All-Pro receiver. –Steelers LB Vince Williams vs. Jaguars RB Leonard Fournette. Fournette rushed for 181 yards, including a 90-yard touchdown run, in the first meeting against the Steelers. It will be up to Williams and the middle of the Steelers defense to make sure Fournette is less effective in the rematch. Since Ryan Shazier went on injured reserve, Williams has stepped up his game, and he will have to play a great game against Fournette if the Steelers are going to win. PLAYER SPOTLIGHT: Steelers TE Vance McDonald emerged as a bigger threat in the passing game during the second half of the season. He made just 14 catches for 188 yards during the regular season, but nine of those catches came in the final three games that he played. Acquired in a trade with the 49ers just before the start of the regular season, McDonald struggled with injuries throughout the year, but he could play a big part in the offense against the Jaguars, especially if the Jaguars’ cornerbacks shut down the Steelers’ receivers the way they shut down the Bills receivers in the wild-card game. FAST FACTS: Jaguars — QB Blake Bortles passed for a TD & had career-high yards rushing last week with five runs of more than 10 yards. He passed for 3,687 yards this season, giving him at least 3,500 yards passing in each of the last three years … RB Leonard Fournette led all rookies with 9 touchdowns rushing and ranked second with 1,040 yards rushing. In last meeting, totaled 181 yards rushing with two TDs, including a 90-yarder … WR Marqise Lee’s 56 catches led the team and WR Keelan Cole was fourth among league rookies with 748 yards receiving. (minimum 25 catches) … DE Calais Campbell led AFC with franchise-record and career-high 14.5 sacks … DE Yannick Ngakoue and the Rams’ DT Aaron Donald are only players in NFL with at least 10 sacks (12 for Ngakoue) and five FF (6) … CB Jalen Ramsey stole INT with 32 seconds remaining in game last week … LB Telvin Smith led team with 11 tackles. In last meeting, registered a 28-yard pick-six; S Barry Church added a 51-yard pick-six and S Tashaun Gipson did not score, but grabbed two interceptions. Steelers — QB Ben Roethlisberger’s 4,251 yards passing this year was a franchise-record fifth time over 4,000 … RB Le’Veon Bell was No. 2 in NFL with 1,946 yards from scrimmage. His 7,996 yards from scrimmage is most by player in first five years of franchise history and he caught 85 passes in 2017, most among NFL RBs … WR Antonio Brown led NFL with 1,533 yards receiving and ranked fifth with 101 catches, becoming only player in NFL history with at least 100 receptions in five consecutive seasons … Rookie WR JuJu Smith-Schuster totaled 917 yards receiving, most by a Steelers rookie … DE Cameron Heyward led team and tied for 3rd in AFC with career-high 12 sacks … LB T.J. Watt was only NFL rookie with at least five sacks (7), and an interception (1). PREDICTION: If Roethlisberger throws five interceptions against the Jags again, he just might rekindle talk of retirement. But Bell and Brown should step up this time, leaving Jags with surprising matchup challenge for the talented Jags secondary against up-and-coming TE Vance McDonald. That may be too much for Fournette and Bortles to overcome.